There certainly is a large amount of gaming news relating to Comedy Central's cartoon character Stephen Colbert floating about these days, isn't there? 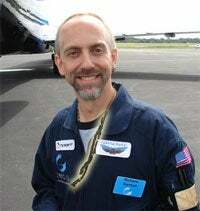 While we eagerly await the announcement of the world's first video game based on a fake news personality, Stephen himself will be hobbing knobs with none other than game industry legend and Keeper of the Sacred Rattails Lord "Richard Garriott" British. British will be appearing on The Colbert Report this evening to discuss Operation Immortality, his DNA in space project that will eventually result in an evil Crecente clone army taking over the known universe. Luckily for us the question of "How do you really get to know a universe?" is still very much up in the air. Way up. Be sure to set your favorite TV recording device to see if Colbert can possibly resist saying something about Garriott's magnificent hair.